From American rapper Azealia Banks. Azealia Banks launched a disgusting homophobic and racist rant at Zayn Malik on Wednesday morning. Things began when Azealia shared a comparative snap on Twitter of her “Yung Rapunxel” video and Zayn's newly released “Like I Would” video, accusing the former One Direction star of copying her concept. "Damn Zayn be mood boarding the s**t out of me… I'm not mad about this though. Zayn is a cutie pie," she wrote alongside the picture. Zayn chose not to respond directly to Azealia, but tweeted: "No lies… I see you reaching but I don’t care." He followed that with: "My @s too good for you." It was the latter comment that appeared to trigger Azealia's rant, with the 24-year-old rapper starting: "@zaynmalik dude, I make better music than you. Simmer down with that fake white boy rebellion and that wannabe Bieber swag. Lol u a b**tch n***a for even responding like that." The American star escalated matters when she began making racist comments about Zayn's Pakistani heritage. "Keeping sucking this young rapunxel d**k u hairy curry scented b***h," she wrote. "Imma start calling you punjab you dirty b***h. You a d**k rider for real. Ride this d**k until the wheels fall off Punjab." 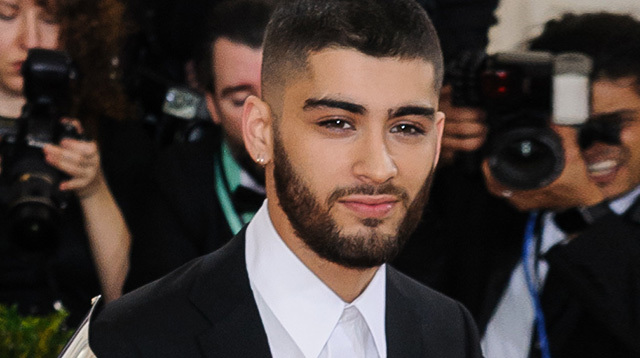 Azealia's Twitter rant continued when she told Zayn he was the "token brown boy" in British chart-topping band One Direction. "All those white boys in 1D disrespected you and made you their PET. You were only apart of 1D to draw brown attention. You are and ALWAYS will be a TOKEN to the UK," she added. As he struggled to come to terms with Azealia's remarks, Zayn tweeted her: "@AZEALIABANKS why you been saying nasty things about me ? I wasn't talking about you lol ?" This appeared to only fuel Azealia's rage, as she then responded to his message by referring to Donald Trump's presidential campaign, writing: "U.S.A IS ABOUT TO TEACH YOU WHO NOT TO F**K WITH!! When your entire extended family has been obliterated by good ol the U.S of A will you still be trying to.... Act like a white boy pretending to be black? "Do you understand that you are a sand n***** who emulates white boys' renditions of black male hood? Do you know how lost and culture less you are?" London radio station Capital FM played with fire when they included Azealia's Twitter handle in a message stating that they were playing Zayn's hit "Pillow Talk" on the show, along with a headshot of the singer. In further comments, Azealia wrote about the snap of Zayn: "This is the face he made when capital fm held auditions at the refugee camp for refugees best talent!"